A LILYDALE family cried tears of joy when a charity stepped in to help pay for lifesaving surgery for their beloved puppy. 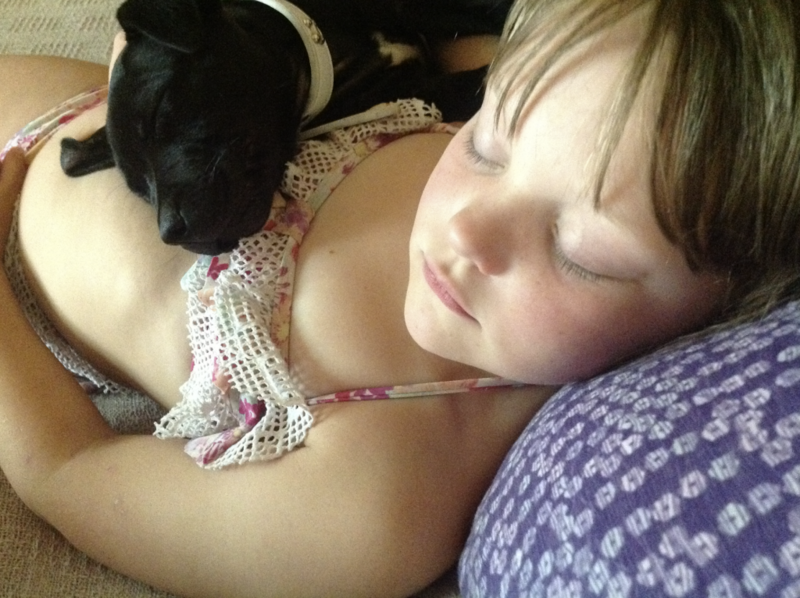 Katrina and Keith Russell gave their daughters Amelia, 7, and Charli, 5, a gorgeous staffordshire bull terrier puppy, Cookie, for Christmas but over Easter she became unwell. After attending The Pet Emergency & Specialist Centre in Malvern East, she was diagnosed with a bone cyst on her foot. The family could not afford the expensive treatment, so they make the heartbreaking decision to put Cookie down. Mrs Russell said they had already spent their holiday savings on Cookie’s vet bills and were “out of options”. But on the day Cookie was going to be put down, Jennifer Hunt, founder of The Pet Medical Crisis Fund, offered a donation. Thanks to that money, a discounted fee from the vet and a loan from a friend, the family was able to afford the surgery. When she heard about the fund’s donation, Mrs Russell was overwhelmed. “I cried, it was so beautiful … we told our daughters a stra­nger that loves doggies as just as much as we do is going to pay to get Cookie fixed,” Mrs Russell said. Cookie had surgery on April 8 and is now on the road to recovery, complete with a pink cast. When the family brought her home, Mrs Russell said the reaction from her daughters was amazing. “We didn’t tell them she was coming home, and when she came in, it was like Christmas again,” Mrs Russell said.